Account-based marketing (ABM) is a game-changer, but it’s not uncommon for sales to push back against implementing it as a new strategy. It’s understandable. On the surface, it appears that ABM is asking sales to work with fewer leads, and that kind of change can be a scary proposition. In my previous blog post, I touched on this very subject when discussing outbound prospecting. The reality is, the sales team is not only holding marketing back from a necessary evolution, they are holding themselves back if they’re not getting on-board with ABM. Account-based strategies require input from across the organization because they work for, and benefit, the entire organization. Alignment needs to happen across the board and if your B2B brand is targeting named accounts but hasn’t yet implemented an ABM strategy—your competition is getting a head start on your customers. ABM’s popularity has been rising and for good reason: coordinating your resources to focus on pursuing and converting specific accounts works. 80% of marketers who track ROI say that ABM outperforms other marketing strategies, often significantly. 97% of marketers agree that ABM has a “somewhat” or “much” higher ROI than other marketing initiatives. Inverting the traditional B2B strategy of lead generation-based marketing brings in bigger, more valuable accounts and increases engagement with target and existing accounts. But what do marketers and salespeople need to do in order to ensure ABM success? Align. In this blog, I’ll cover the key to successful ABM as well as how to get your sales team on board and how to achieve alignment. Alignment between sales and marketing is beneficial for any organization, but if you want to get the most out of ABM (and what marketer doesn’t? ), it’s crucial. The good news is that ABM by its very nature brings the two teams together—as long as both sales and marketing can agree to work together. If you’re finding it challenging to get sales to buy-in at first, you’re not alone. Ultimately, you are working toward a sales and marketing partnership but the first step is, of course, alignment. So, you’re a marketing team leader who needs to convince sales to buy in or a sales team leader who needs to get the rest of the sales team on-board. Where do you start? First, make sure the sales team understands the dramatic benefit that ABM brings to their lives. Then, demonstrate how a successful ABM strategy hinges on their input. How satisfied is sales with the leads they currently get from marketing? Does the sales team always have the content/resources they need for closing an account? Most honest sales reps will take the opportunity to express their frustrations because it’s just statistics that sales departments are commonly frustrated by what they feel are unqualified leads and by not being able to find the content resources they need. But those are two of the best reasons that sales should be excited about an account-based strategy. ABM starts with selecting target accounts, which is very much like qualifying leads at the beginning. There is almost no chance for an unqualified lead to land on a sales rep’s proverbial desk because sales and marketing have selected target accounts together from the very beginning. How would the sales team like to only talk to highly qualified, ready-to-buy leads? After selecting target accounts, account-based marketing hinges on strategic, personalized content that marketing develops for specific personas, accounts, and even—sometimes—individuals. How would the sales team like to be able to deliver a case study in the same industry as a prospect, or a report generated especially for his/her company? It might force sales out of their comfort zones at the beginning, and it might be a little longer before they start seeing new ABM-generated leads, but most sales reps won’t turn down a much greater percentage of qualified leads, at much bigger accounts, and the content they need to close the deals. Everyone wants to be needed, right? Even though it’s called, “account-based marketing,” ABM involves more than just the marketing department. Alignment between sales and marketing is both a prerequisite for and a product of an effective ABM strategy. Identify Target Accounts—Sales knows who the big dogs are and probably already has a short list of dream accounts they would love to close. Develop Personas—Sales reps know who clients actually are, and can lend all kinds of detailed insights into the development of really robust personas. Find the Right Content—Marketing will take over a little bit here, but this exercise is based on the previous two steps. Integrate ABM into Your Multi-Channel Strategy—Marketing and sales will both execute this step in different ways and on different channels, but, again, the content and the strategy are built on the insights developed in the first two steps. Measure and Optimize—In an ABM model, sales gets to help define the KPIs as well. Broad-based marketing looks at a set of metrics that aren’t all, necessarily, the right fit for ABM and/or don’t help sales. As part of an ABM team, sales reps help marketers identify the metrics that will help optimize an account-based strategy. Account-based marketing is not a new marketing trick that sales needs to deal with or help implement. It’s the natural evolution of marketing, sales, customer service, etc., but doesn’t work unless the whole organization grows together—and there is plenty of incentive for sales to be on-board. With a broad-based marketing strategy, the marketing team attracts leads through avenues such as advertising, email, and social media. Leads come in, and then sales takes over to work to convert them. 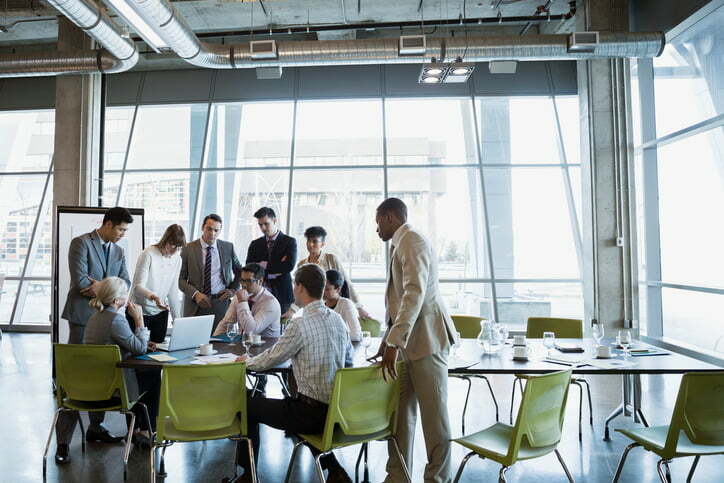 With ABM, sales and marketing work together throughout the process, but that alignment has to be strategically planned—at least for a little while. Two teams who have worked in separate silos for generations won’t suddenly start playing as one team just because an executive tells them to be aligned. Even the most well-intentioned team members need to break a lot of old habits. So once both teams are on-board, look at those five steps again, and plan how alignment needs to happen at each one. Identify Target Accounts—This should only be done with the whole ABM team at the table. Sales and marketing can bring their own initial lists to the meeting, but everyone should leave with the same short list. Look for overlaps between the two lists first. Then, agree on a system of lead scoring, and score the remaining potential target accounts to see which are more likely to close. Develop Personas—Even if sales and marketing have been poorly aligned until now, they’ve still been working on targeting and converting the same set of prospects. Developing personas together isn’t as much about overlap as it is about details. Marketing’s personas will identify companies, titles/positions, business priorities, etc. Sales’ insights will add FAQs, pain points that only come out in conversation, and favorite sports teams. All of it is important for ABM. Find the Right Content—If personas change drastically in step two, there might need to be an intermission in ABM meetings while the marketing team retools some existing content pieces. If not, or if your marketers have unusually thick skins, start reviewing core content pieces together. Begin with the ones most commonly clicked or used by sales, and make sure each piece aligns with a persona and a particular stage in the buyer’s journey. Marketing with have data that demonstrates which pieces have the best digital responses; sales will know which ones work best with real people when it’s time to close an account. Integrate ABM into Your Multi-Channel Strategy—Sales and marketing both participate here, on different channels. Marketing will probably have the bigger piece of this pie—pushing out content on the website, social channels, email, etc. Sales, however, will still be integrating content into personal emails, phone calls, and meetings. Keeping this organized so that no target account receives the same content twice, or irrelevant content for their stage requires a sophisticated marketing automation platform and CRM. Measure and Optimize—It might be up to marketing to prepare this data, but it should be shared and reviewed with the entire ABM team on a regular basis. Marketing’s engagement metrics and sales’ pipeline metrics both crossover to ABM. Account-based strategies will also need to monitor and measure new contacts identified and mapped to accounts, and new leads engaged. READ ALSO What Are the 4 P's of Successful Blogging? What’s happening here is that both sales and marketing have a stake in every step, but it has to be intentional. That alignment makes for a stronger strategy that, combined with a focus on targeted accounts, can make a big difference in conversions. ABM has proven its effectiveness for a growing number of businesses, but it can only be truly successful if both marketing and sales buy-in. This can seem like a hard sell for sales teams that are set in their ways and feel that what they’re already doing works. You need to drive home that a shift to ABM can work better. 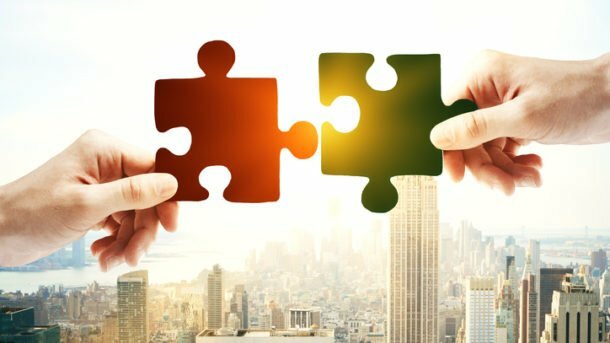 Ultimately, you are working toward a marketing sales partnership, but alignment is essential to reach partnership. Your first step? Sell your internal customer first–the sales team. Write a pitch they can’t resist and present it with confidence. When they see the real potential of ABM, they’ll get on board without hesitation. Is your Marketing and Sales Alignment SLA positive?